Using built-in Chromecast, WiFi and Bluetooth the Big Blue Party Indoor-Outdoor wireless speaker lets you more comfortably and freely enjoy your favorite music. Like the design? Let’s keep checking. 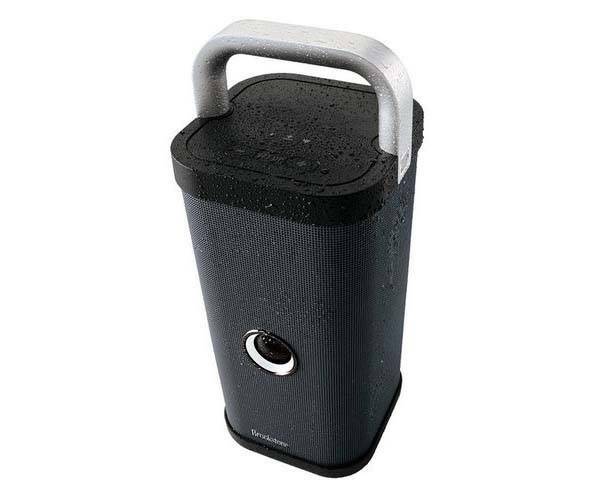 The Party Indoor-Outdoor is a high-performance and versatile portable wireless speaker that measures 6.3 x 6.3 x 15.8 inches (16 x 16 x 40.1cm). As we can see from the images, the speaker features a low-profile and sleek appearance design defined by its discreet colors, smooth contours and minimal detailing. 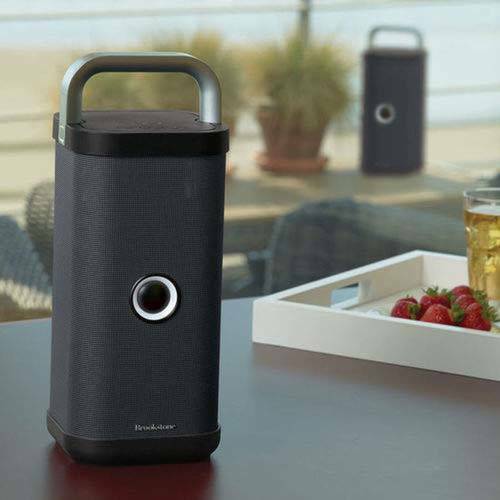 Meanwhile, its portable profile and an integrated handle let you take music to any outdoor party. The wireless speaker comes equipped with 4 speakers sit subwoofer and passive radiator in order to produce high-quality 360-degree audio. Furthermore, the Party Indoor-Outdoor also features built-in Chromecast. Using integrated WiFi module, the wireless speaker is capable of streaming your favorite music, radio stations, podcasts and more. All you need to do is simply tap the “Cast” button that has already built into mainstream music, news and entertainment apps. Moreover, using multiple Party Indoor-Outdoor units, you can form a powerful speaker system in your house, which play the same song everywhere or different music in every space with multiple apps. The Party Indoor-Outdoor also works as a Bluetooth speaker that pairs with your smartphone or tablet, and an extra 3.5mm audio input also allows it to support any music player with 3.5mm audio jack. In addition, its integrated rechargeable battery offers more than 4.5 hours of playback between charges. Big Blue Party Indoor-Outdoor wireless speaker is priced at $249.99 USD. If you’re interested, jump to Amazon for its more details. BTW, don’t miss Mondo+ Internet radio and more related items by following tags.